Voluble, basketball-savvy tour of Boston Celtic great Bob Cousy’s life, from Providence Journal sportswriter Reynolds (Glory Days, 1998, etc.). The author wisely starts at the close of his subject’s career, in 1963, when basketball was on the cusp of becoming one of the nation’s pastimes. Cousy retired when he was still hot, no rust gathering about the joints, his name golden (and all the better to make a living from). He was recognized as the first flash playmaker, with his no-look passes and behind-the-back work, the man who essentially made the National Basketball Association, playing be-bop at point guard all through the 1950s, imaginative and confident on the court. But Cousy was also driven by his insecurities, Reynolds writes, knowing full well what was on the magician’s mind after interviewing him at length for this book. He was terrified that his game would desert him and he would find himself naked and humiliated under the lights. Cousy was the captain of a team that understood it worked better as a collective than individuals; his role was to make his teammates play better, and a great pass was the game’s ultimately expression. 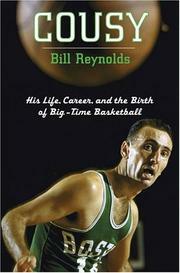 Reynolds explores with obvious pleasure the evolution of professional basketball, in particular the ascendancy of black players like Bill Russell and Wilt Chamberlain in the heretofore white sport, the shrewd coaching of Red Auerbach, and the innovations that the Celtics brought to the game. After Cousy gave up playing to coach Boston College, his friendship with a pair of known gamblers prompted accusations that he was on the Mob’s take, but the author appears to believe his denials. Henderson does beautiful job of painting Cousy, right down to his French lisp; he comes across as a team player who truly believes it when he says it was the team, his nonpareil huddle of Heinsohn and Jones and Jones and Russell, who made the difference. Not only an insightful biography, but a shining history of the early NBA as well.